Kate Morris with her winning collection. Photo courtesy Redress. 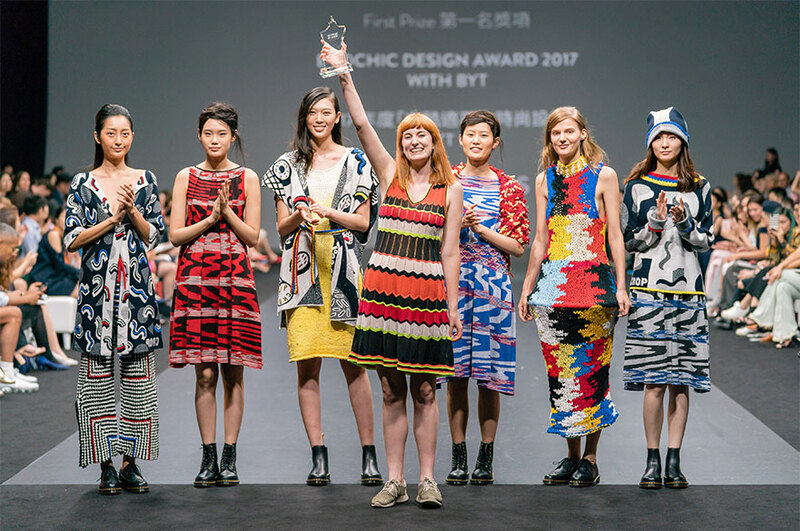 MA Fashion Knitwear Design student Kate Morris was named winner of the EcoChic Design Award 2017 at a dazzling catwalk show held in Hong Kong this September. Sponsored by Create HK, the awards are the largest sustainable fashion awards in the world, and this year drew applications from over 40 countries. Kate’s playful and vibrant collection, which was presented on the catwalk to 600 of the region’s most influential industry professionals, impressed the judges by demonstrating the power of a circular economy in which nothing goes to waste. Garments were made from a diverse range of materials, including abandoned umbrellas and damaged yarns, and focused on three design techniques; reconstruction, upcycling and zero-waste. As part of the first prize, Kate will join the team of dynamic designers at BYT, a Hong Kong-based affordable luxury brand established by Redress which aims to change the ethical tastes of luxury consumer fashion. She will also see her winning collection exhibited at Lane Crawford, Asia’s leading luxury department store. Kate Morris and Rebecca Lewis. MA Fashion Knitwear Design and MA Commercial Photography. Orsola de Castro, a member of the international judging panel, said: "Kate's collection embraces upcycling and technology with a very modern attitude to both the making and the wearing of clothes. It is an unconventional, and highly original collection as well as being beautifully made, mature and ready for market." 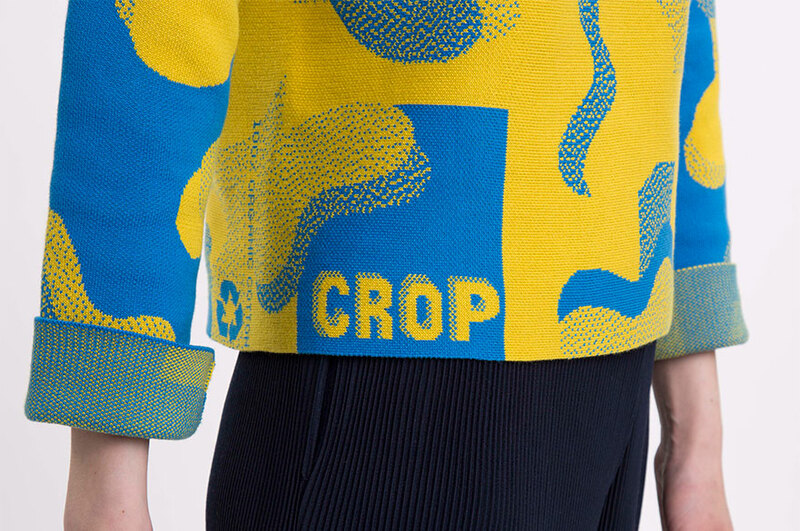 Kate developed her vegan knitwear brand CROP during her MA studies this year. Her studies have focused on finding a balance between conscious and commercially viable alternatives to wool, starting with sourcing yarns which have GOTS (Global Organic textile standard). Other selected yarns have included bamboo and tencel, formed from the wood pulp of eucalyptus trees grown on low grade land and processed in a closed loop system. In addition to her success at the EcoChic Awards, Kate has been catching the eyes of judges in other high profile 2017 competitions. She made the WGSN + Arts Thread Future Creator Award shortlist, which seeks the 'finest emerging talent from around the world", as well as winning the Shima Seiki Student Design Competition, which saw her embark on a two week training placement at Shima Headquarters In Wakayama in Japan, where she expanded her specialist knowledge of the SDS-One Apex3 Design software.